‘Is our drinking water safe from asbestos contamination?’ While this is a question that you probably haven’t considered before, this doesn’t mean that it one that’s not worth asking, despite the fact that construction using asbestos was banned over 30 years ago. The problem here is that some of the water pipes in the UK, through which drinking water is supplied to houses, have been made with asbestos cement. 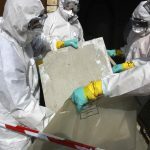 In this article, the team here at Asbestos Waste Solutions will take a look at this problem in greater detail, discussing whom it may effect. According to Thames Water, there are thousands of kilometres of asbestos cement pipes to be found all over the world, and that they have been widely used in the UK. In Cranleigh, a village in Surrey, nearly a third of the drinking water supplied to the area is supplied through pipes made from asbestos cement. As our water pipes erode and natural deposits decay over time, they release asbestos fibres into our drinking water in extremely small amounts. Despite this, both The Drinking Water Inspectorate and Thames Water have stated that we shouldn’t be concerned. Whether the level of asbestos in our water is dangerous to us ultimately depends on a number of factors. For example, fibre size and surface characteristics are important factors in evaluating a health risk. Asbestos fibres greater than 8 µm (i.e. micrometre – a millionth of a metre) in length and less than 0.25 µm in diameter are regarded as posing the greatest threat. On the other hand, very short fibres of less than 1 µm are considered to be of low risk. 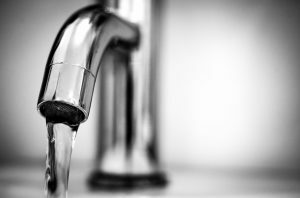 Studies conducted in Europe, the USA and Canada found that asbestos fibres that were discovered in drinking water were nearly all within the safe diameter categories. That is, they tended to be in proportions of 1 to 1.1 million fibres per litre. 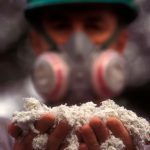 Despite all of these studies, the presence of asbestos in any environment – whether it’s our homes or water pipes – is always going to be a cause for concern, regardless of whether we receive assurance that the fibres are low or no risk.